This is an incredible opportunity for parents with young children . We have classes already underway, and on Saturdays, your child could have the opportunity to learn under the direction of world-renowned cellist Steve Kramer. 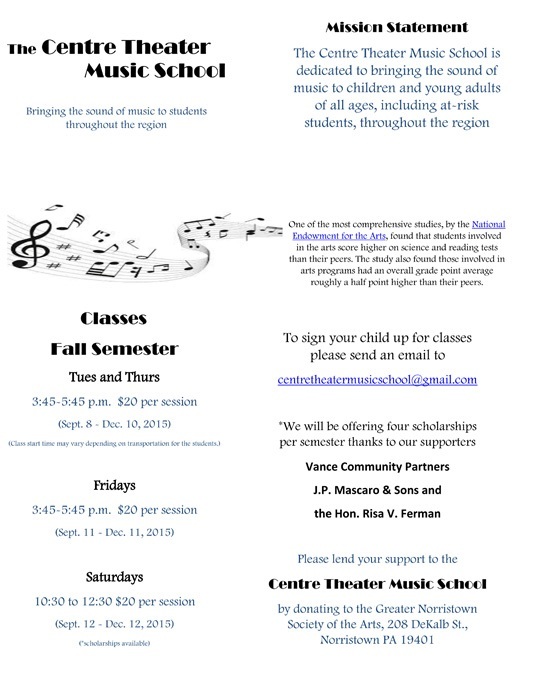 The Centre Theater Music School is growing! Who’s ready for a good laugh?